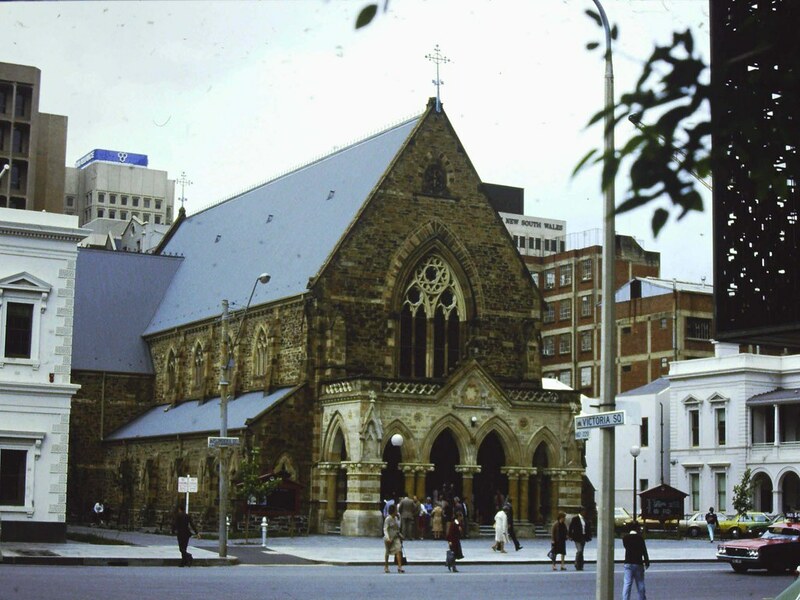 The original name for this church commemorates the Reverend Thomas Quinton Stow, who arrived in Adelaide on 20 October 1837 as the first minister of the Congregational Church. 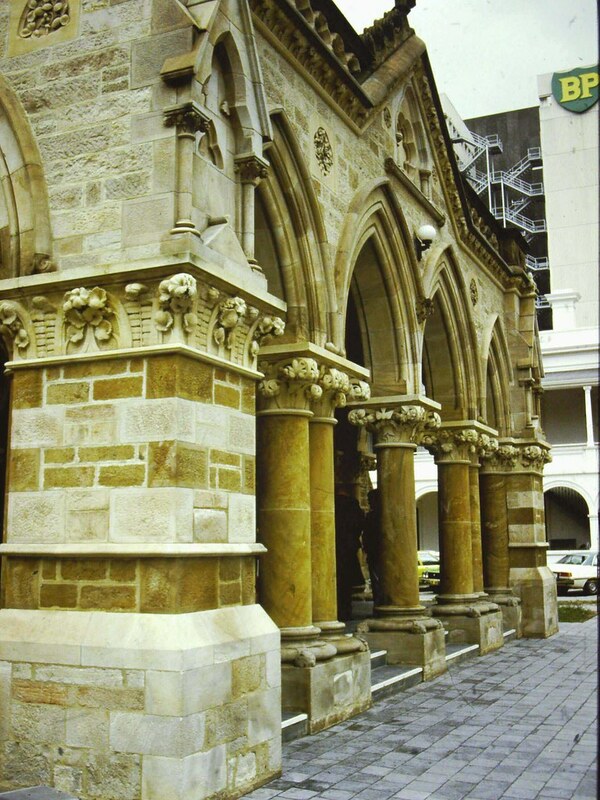 Land adjoining the Treasury Building facing Victoria Square in Flinders Street was purchased in 1863 at a cost of £1,000 as the site of Stow Memorial Church following the death of Reverend Stow in 1862. 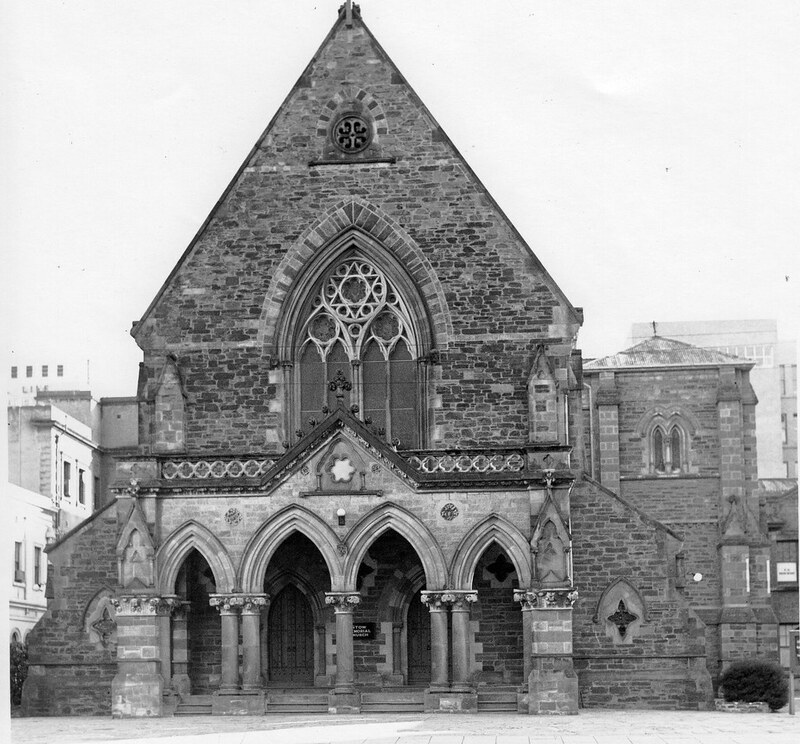 On Tuesday 7 February 1865, Mr Alexander Hay laid the foundation stone in the base of the proposed eastern steeple, and the building was formally opened and dedicated at a service on 12 April 1867. 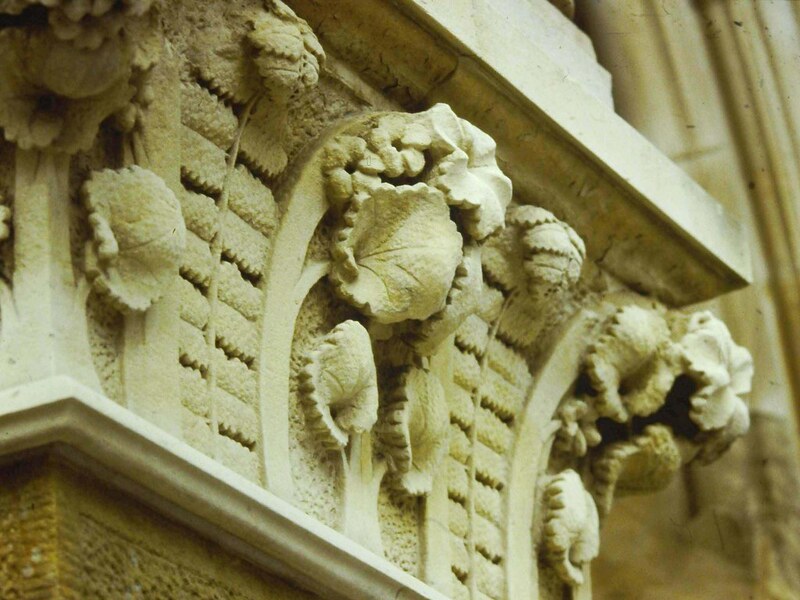 The church was designed by Robert G. Thomas in early English Gothic style and includes noteworthy stone carving in the front porch. 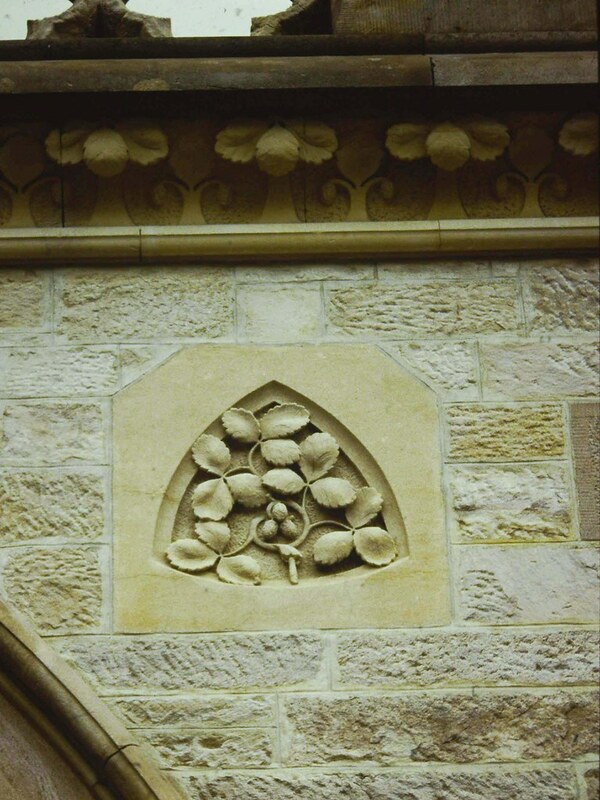 The carver, Samuel Peters, who was brought from Sydney, used pure white caen-stone for detailed work which includes details of fruits and flowers. 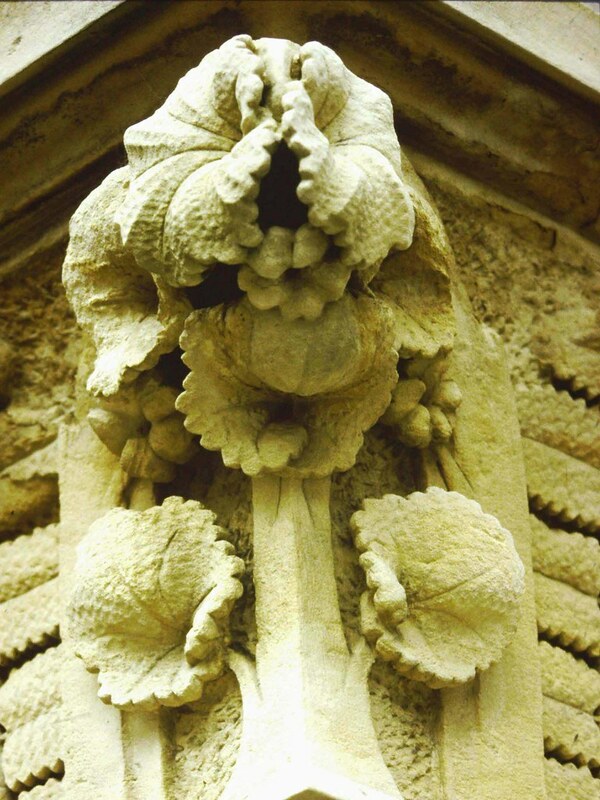 At the suggestion of the architect, who had brought a pet squirrel from England, a medieval gargoyle squirrel was introduced into the design of the central pillar. 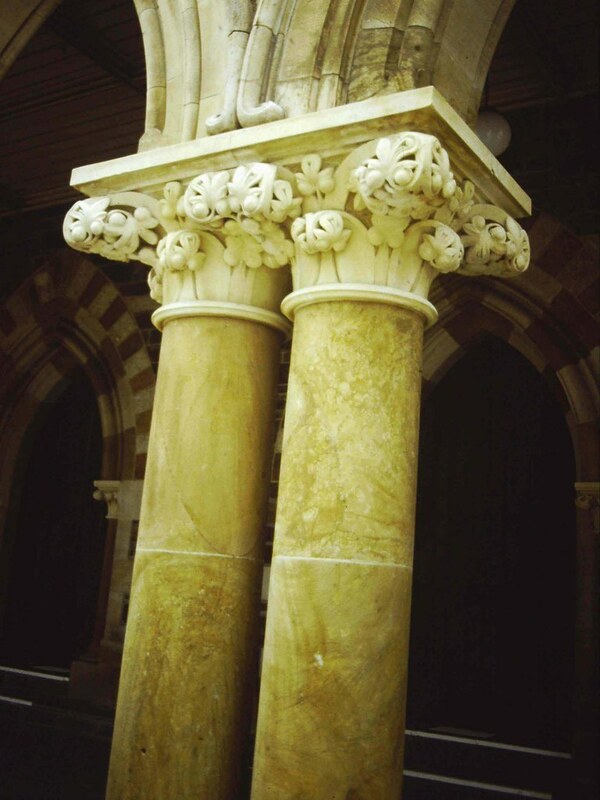 The interior dimensions of the church are multiples of the number seven, the body of the building between the pillars being thirty-five feet (11 metres) wide, the length ninety-eight feet (30 metres), the height to the centre of the ceiling forty-two feet (13 metres), and to the spring of the roof thirty-five feet (11 metres), the transepts are twenty-eight feet (9 metres) by fourteen feet (4 metres), and the side aisles seven feet (2 metres) wide. 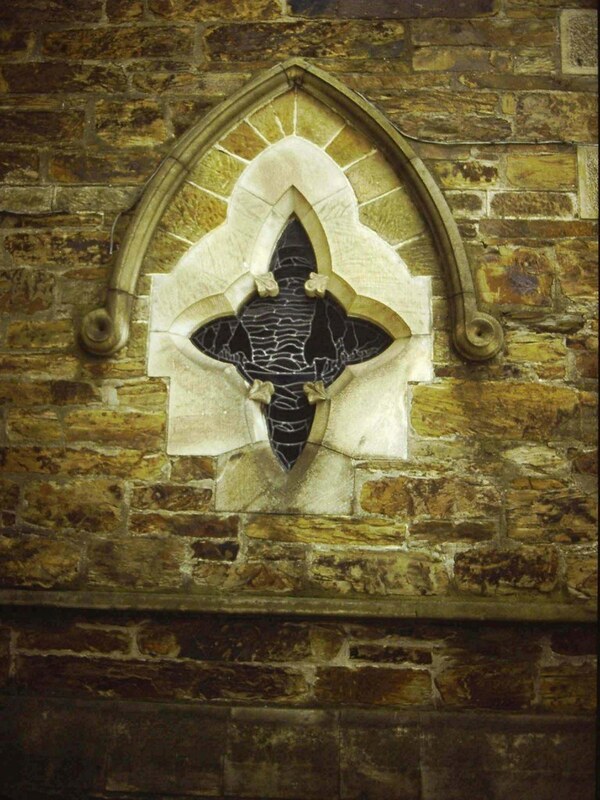 The church is built of Glen Osmond stone, finished with cut freestone from Glen Ewin. 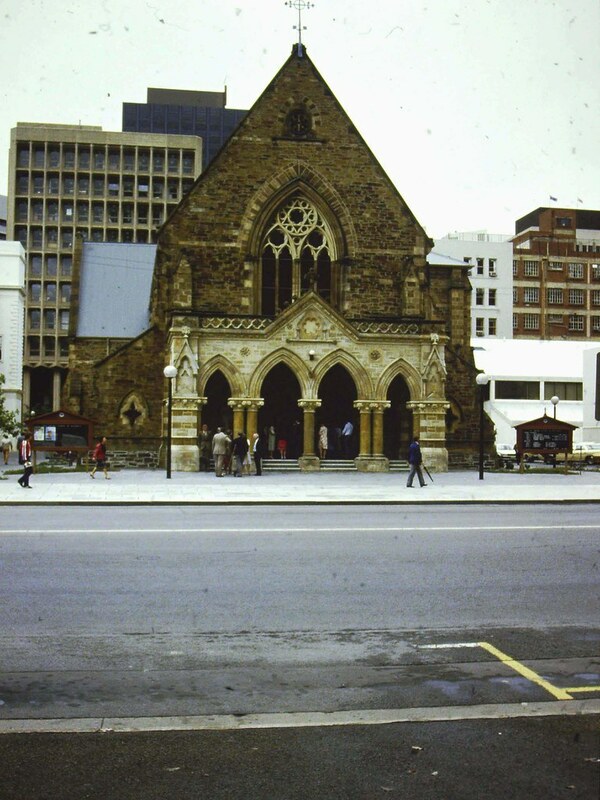 It is now known as the Pilgrim Uniting Church. 45 Alexandra Avenue, Rose Park. We would be inerested to see if this plaque relaes to your church and would also be inerested to see if there are any photos of the house in your records. We look forward to your earliest response. 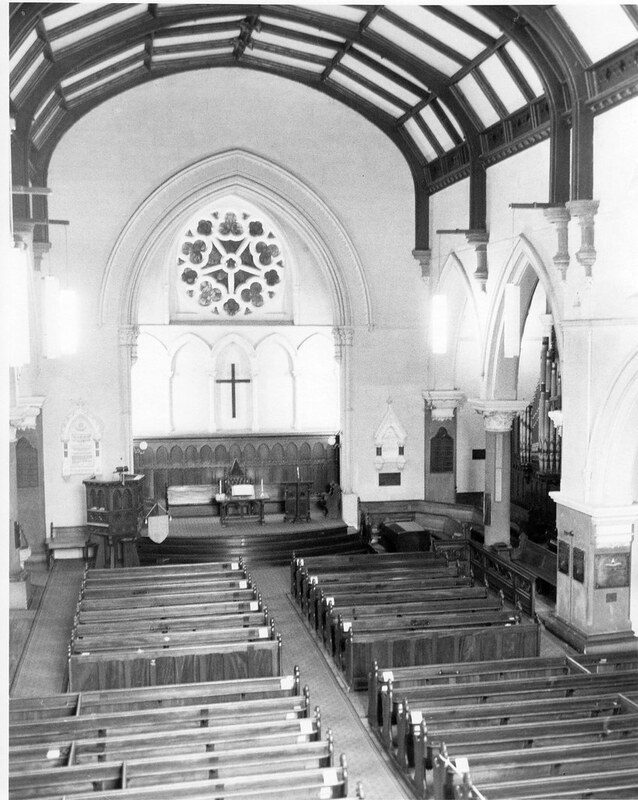 In September 1950 Elizabeth Maude Wholohan died and left her property at 45 Alexandra Avenue ROSE PARK to the Stow Memorial Church. 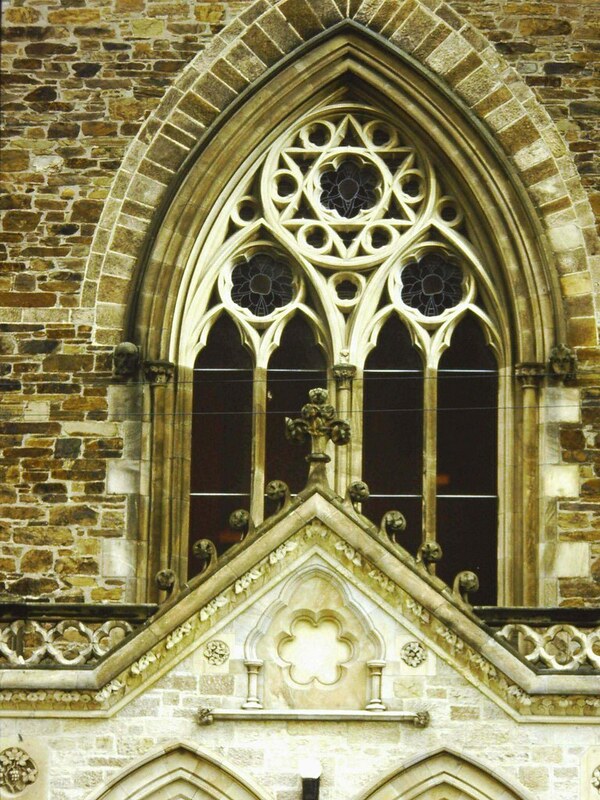 I would like to obtain a photo of this property in its early state as I intend to restore it to its former glory. Is anyone able to provide me with an early photo of the property. Hi Heather, great to hear you plan to restore the property. We can’t find any images online unfortunately, it might be worth getting in touch with your local council or heritage society.